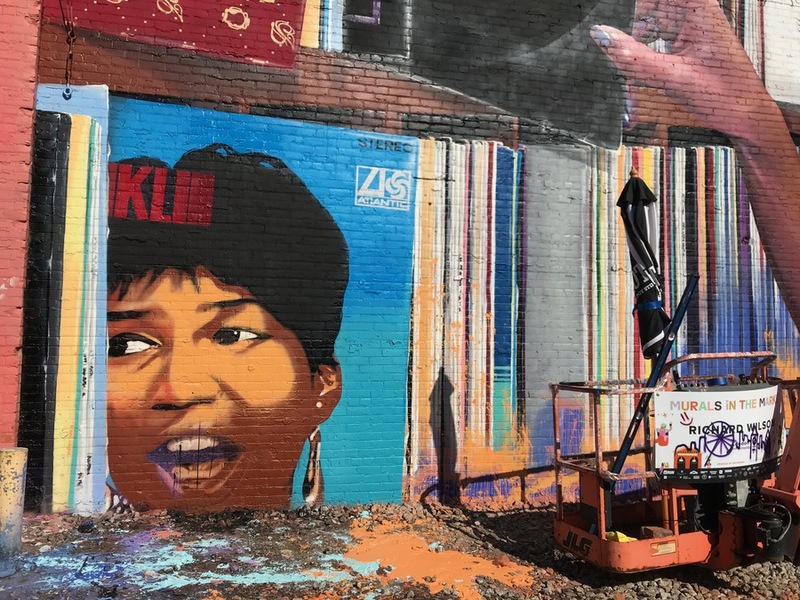 DETROIT — A mural of the late Queen of Soul was vandalized in Detroit overnight. A friend of the artist notified WXYZ that they discovered the damage Saturday afternoon at the Eastern Market. The mural was painted by Richard Wilson for Murals in the Market on the back of the old Busy Bee Hardware on Gratiot. The friend says the vandals climbed up on the cherry picker and used the paint to vandalize the mural. Most of the damage is seen on the Aretha Franklin cover Wilson painted. The artist is working to fix the mural.